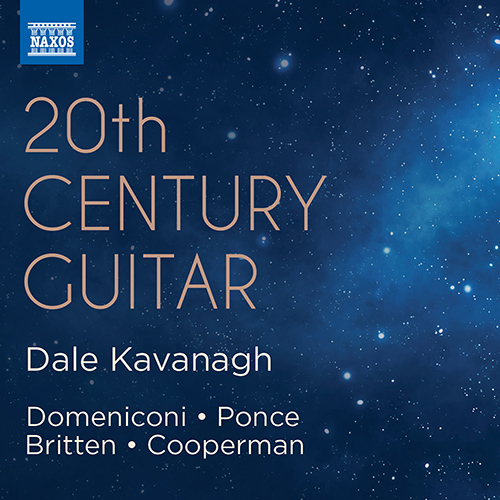 Dale Kavanagh is one of the most prominent classical guitarists of her generation. As a soloist and a member of the acclaimed Amadeus Guitar Duo she has performed all over the world and is the dedicatee of numerous compositions. Domeniconi’sÂ VariationsÂ are based on a famous Anatolian folk song, while the highly original language of Britten’s evocativeÂ NocturnalÂ has its starting point in a song by John Dowland. Cooperman’sÂ Walking on WaterÂ was inspired by Peter Sellers’ last filmÂ BeingThere, and Ponce’sÂ Folia de EspaÃ±aÂ is often considered one of the most magnificent guitar pieces ever written.